What do you do with your old clothing? When it gets worn out or does not fit anymore, do you send it to one of the charities that resell your old items or do just throw them in the garbage? Now there are many ways that you can repurpose your old clothing into other clothing items or oth﻿﻿er items that can be useful to you. 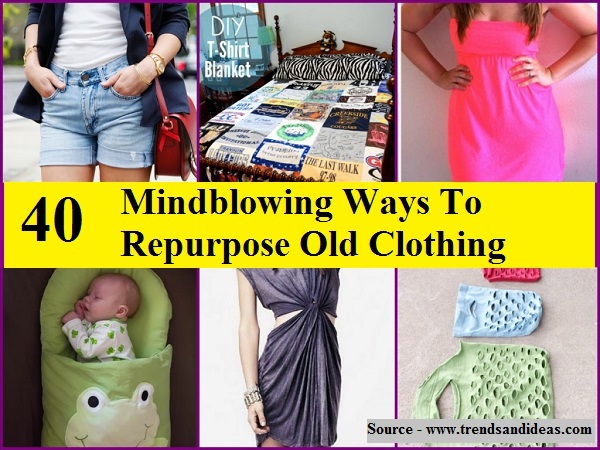 Thanks to trendsandideas.com for compiling these cool ways you can repurpose your old clothes. Follow the link below to learn more about these DIY inspirations..